On Sunday, October 14, Franklin Federated Church will host a birthday celebration commemorating the formation of the First Congregational Church of Franklin (1738), the First Baptist Church of Franklin (1868) and the subsequent federation of the two churches (1938). Original church council ledgers dating from 1846, artifacts from the church’s historical room, a pictorial roster of ministers since 1738, and photo albums depicting church members and activities from 1938 to present will be available for perusal during the event. A short humorous skit, “The Music Wars”, written by Church Historian Lyn Pickhover, will be performed as part of the regular service. 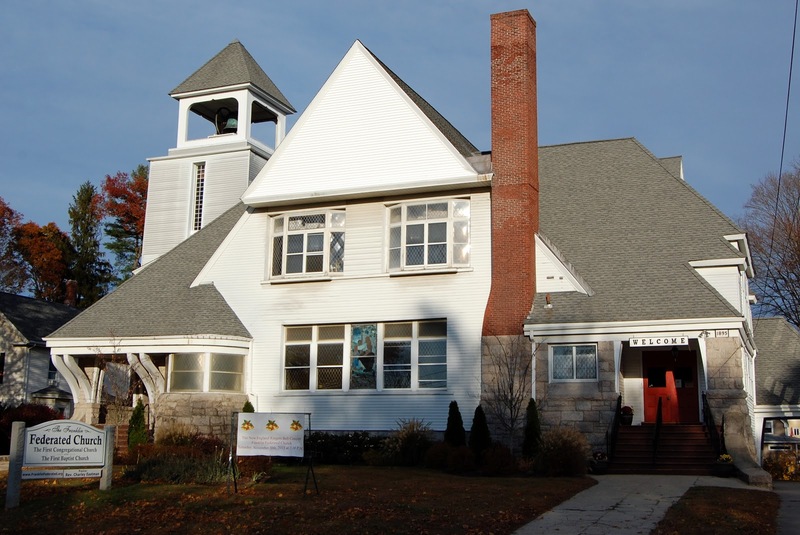 The skit is based on an actual event in church records from 1738, the records of which are now on permanent loan to the Congregational Library in Boston. 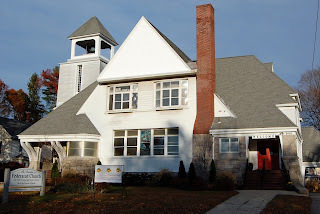 The Franklin Federated Church is located at 171 Main Street, Franklin, directly opposite the Common. Services are held on Sundays at 10 a.m. All are welcome.